Join us for a gorgeous February day in the Upper Peninsula of Michigan! Located just 100 miles north of Green Bay, Wisconsin, join us for the best the U.P. has to offer! The Fumee Lake Natural Area has over 1800 acres used in a wide variety of non-motorized activities. A few minutes off U.S. 2 west of Norway and east of Quinnesec, it lies within five miles of Dickinson County’s most populated metro areas, a fact that a visitor is not able to detect due to the sheltering of the surrounding hills. The Fumee Lake Natural Area has a number of unique features. Fumee Lake and Little Fumee Lake provide a total of five miles of undeveloped shoreline. In addition to numerous wetlands, 507 acres of surface water holds a fishery deemed "very remarkable and unique" by the Michigan Department of Natural Resources. The area has historically been home to a number of rare or threatened species including the Bald Eagle, Common Loon, and nineteen species of orchids. February in the Upper Peninsula of Michigan is both beautiful and brutal and the natural beauty of the Fumee Natural Area only adds to both. Offering groomed single-track as well as a wider double section around the lakes, we guarantee you'll have a blast during this great event. Offering a 50k, 25k and 10k for the badass runners looking for an amazing adventure and a 12-mile or 24-mile route for those bikers who want to work on their best Snotsicle! 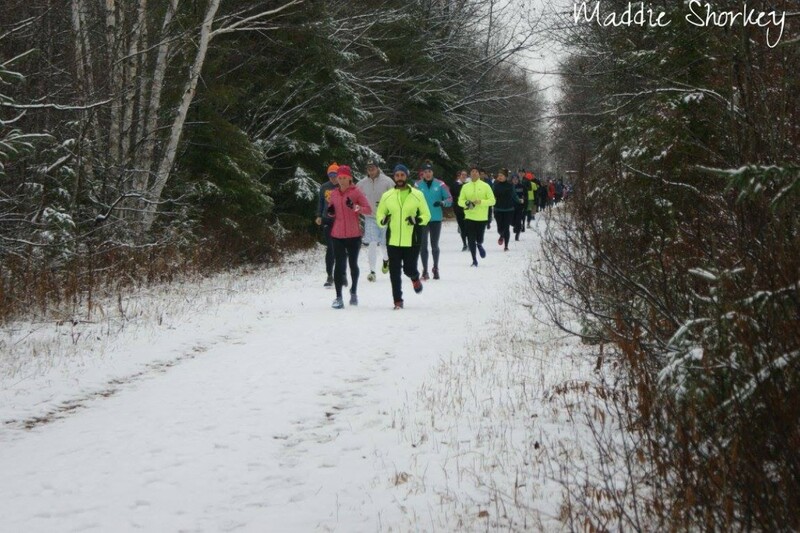 Runners will traverse an approximately 5.8 mile loop flowing and looping along the North Ridge Single-track Trail and the Fumee Mountain Trail with about 700 ft of elevation gain. 10k runners do it once, 25k do it 3 times, 50k do it 6.